The state Department of Corrections in Kansas is committed to hiring corrections staff that keep communities in Kansas safe through effective correctional measures. The state currently has 8 prison facilities - El Dorado, Norton, and Topeka secure correctional facilities for inmates serving longer incarceration periods, as well as a large number of county jails, which hold offenders waiting for sentencing or who have short-term sentences. In both areas, the Department is recruiting candidates for both operational and administrative roles. According to the state's resource page and the BLS, there are currently 3,295 male and female correctional officers working throughout the state. By 2022, predictions state that there should be an additional 165 new jobs created, as well as roles to be filled due to retirement, attrition, and professional advancement. Potential applicants that have desirable values such as professionalism, integrity, and non-discrimination as well as a willingness for on-the-job training and accreditation, are invited to browse further to learn more about this career choice. Central Christian College of Kansas ranks 1st in our rankings with 16 students graduating from programs in law enforcement administration out of a total 196 students in the 2012-2013 school year. Kansas Wesleyan University ranks 2nd in our rankings with twenty students completing programs in law enforcement administration out of a total 462 students. Southwestern College ranks third in our rankings with 63 students graduating from programs in criminal justice and securities services administration and management out of a total 1,454 graduates in the 2012-2013 school year. Ottawa University-Online ranks 4th in our rankings with 12 students completing programs in law enforcement administration out of a total 422 graduates. Washburn University ranks 5th in our latest rankings with sixty-five students graduating from programs in securities services administration and management and corrections out of a total two thousand students from the 2012-2013 school year. Colby Community College ranks 6th in our latest rankings with eleven students graduating from programs in criminal justice out of a total 642 graduates. Johnson County Community College ranks seventh in our latest rankings with 102 students completing programs in law enforcement administration and criminal justice out of a total 6,114 graduates. Wichita State University ranks 8th in our latest rankings with 98 students graduating from programs in criminal justice out of a total six thousand students from the 2012-2013 school year. Dodge City Community College ranks 9th in our latest rankings with 8 students completing programs in criminal justice out of a total 512 graduates in the 2012-2013 school year. Garden City Community College ranks tenth in our rankings with eight students completing programs in criminal justice out of a total 584 graduates from the 2012-2013 school year. Recruits who have successfully passed all eligibility and assessment requirements will be placed in a new candidate hiring pool to be drawn upon as the need arises. As positions become available throughout the state, candidates will be contacted to submit proof of a final negative drug test, and as such, arrangements will be made for correctional officer academy training to begin. Candidates who pass academy training will be certified as corrections officers. The state Department of Corrections in Kansas encourages growth by inviting citizens to pursue careers in state service, namely as front-line correctional officers. 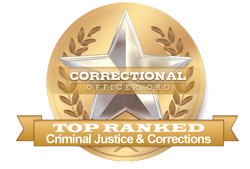 At this time, the median income for correctional officers throughout Kansas is lower at $32,700 than the national median income at $39,800, but according to occupational data for the state of Kansas, available at http://www.careerinfonet.org/occ_rep.asp?next=occ_rep&Level=&optstatus=011000000&jobfam=33&id=1&nodeid=2&soccode=333012&menuMode=&stfips=20&x=35&y=10 and published by CareerInfoNet.org, state trends are predicted to experience an 8% growth curve from now until 2022 as compared to the national growth rate of 5%. This predicted growth pattern translates into 140 new and existing openings annually over the next decade. The table below lists career information obtained from the BLS for correctional officers in Kansas. The table is sorted by total employment, with the largest metropolitan areas listed first.